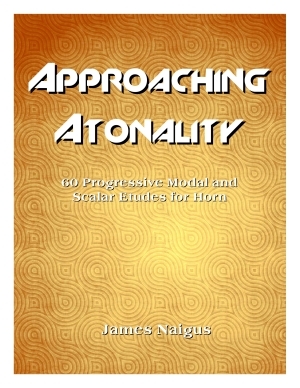 One of the most challenging aspects of contemporary music for the horn is tonal complexity, ranging from the simplest of scales to the relative unpredictability of atonality. Unfortunately, method books that incorporate these more complex tonal systems are written at a very high and challenging level. One of the primary reasons why different tonalities are challenging is because they are unfamiliar and not addressed early in learning. As a result of a lack of accessible and progressive tonal to post-tonal studies, many students are unprepared for the full demands of contemporary music. In order to address this gap in the literature, I created sixty original etudes, progressive and limited in both the technique required and in the tonal expansion towards atonality. In this case the range of tonality is a defined set of scales and modes that bridge the gap between the most common of diatonic scales and least traditionally tonal of scalar systems. Who can use these etudes? Everyone! The beginner can use this book to help them explore more unique scales and invervallic sounds earlier on in their technical development. The intermediate player can practice and play through a number of etudes at a time while learning about different modes. 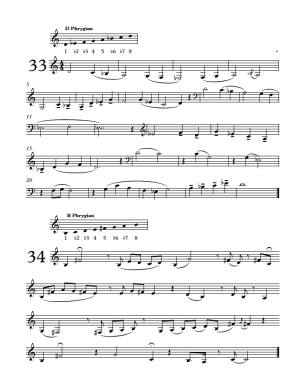 The advanced player can use these etudes as sight reading material or pedagogical study. 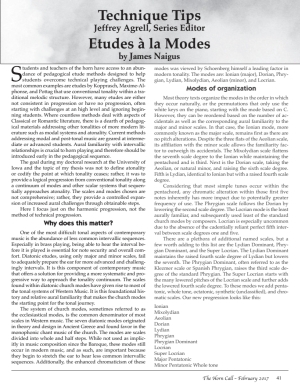 The teacher, in addition to the former ideas, can use these etudes for test pieces, juries, theory discussion, pedagogical progression study, and/or as a springboard for other fun modal aurally-based activities. See my article in the February 2017 edition of the Horn Call!